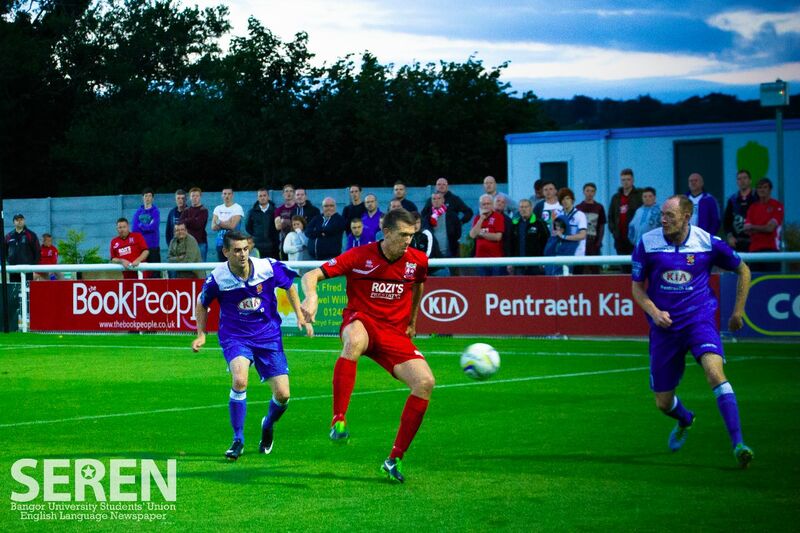 A small but noisy crowd followed Prestatyn Town to Nantporth to face Bangor City in the third game of the season. The game began in a fairly rough and ready way, with Prestatyn having the majority of the possession and chances, though Bangor were quick and aggressive on the break, with neither side particularly able to force the keepers to stretch themselves overly. Play settled quickly after the first 15 minutes into a rash of long balls and wishful passing, before being recovered by the other side and heading back towards the other end. This pattern, which both sides stuck to, was only broken by two pieces of exceptionally wishful thinking, with two attempts made by Bangor to catch the keeper off his line. 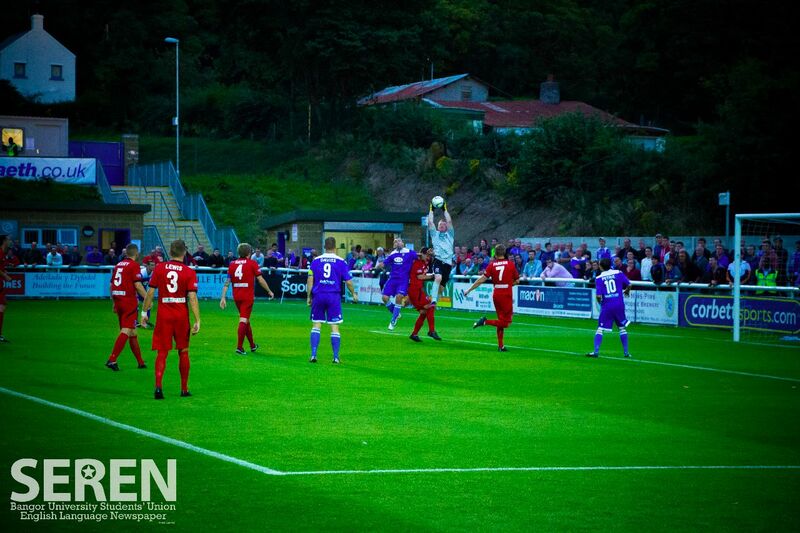 Neither lob made it closer than 15ft to the goal, and the half ended with as it began, with Prestatyn having the lion’s share of possession and Bangor making good use of the youth in the team, with speedy breaks that failed to amount to anything. The final whistle brought the highest drama of the period, with Neil Gibson, the Prestatyn manager shown a yellow card for shoving his Bangor counterpart, Nev Powell. The second half begun with much more aggression from both sides, and after 5 minutes a Prestatyn free kick was guided by the head of Michael Parker past Bangor keeper, Lee Idzi. The goal seemed to shock Bangor, who allowed themselves to be dominated for the next 10 minutes, though they finally shook the disappointment lose, and a period of solid pressure from Bangor with much improved passing and possession allowing them to keep Prestatyn in their half for long periods. 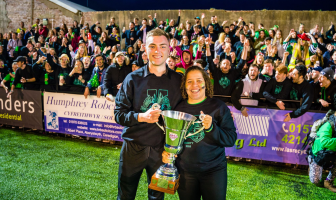 However, Bangor were unable to convert this pressure into any goals, and Prestatyn, though scrappy, defended well and play returned to end-to-end football, thankfully marked by better passing and awareness than the hit-and-hope tactics of the first. As the final whistle approached, tempers began to fray with fouls and cards for both sides, as Prestatyn began to flag and Bangor returned to dominate play. Towards the end of the second half a real surge of energy from Bangor’s number 9, Les Davies, who was standing in as Captain in Jamie Brewerton’s absence. 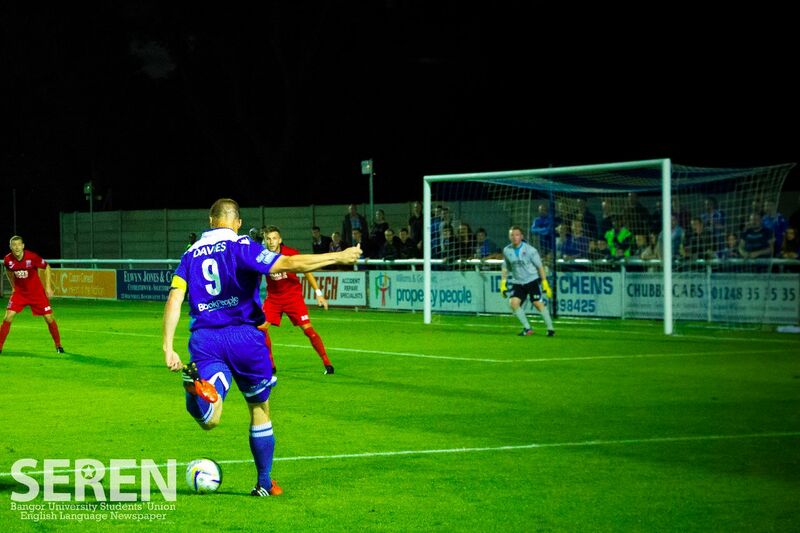 Davies made a number of strong attacks on the Prestatyn goal, supported by his team who pushed up on the offence. Despite the hard work and determination from the young City team it was not their night, Town’s keeper, Dave Roberts, was impossible to get the ball past. 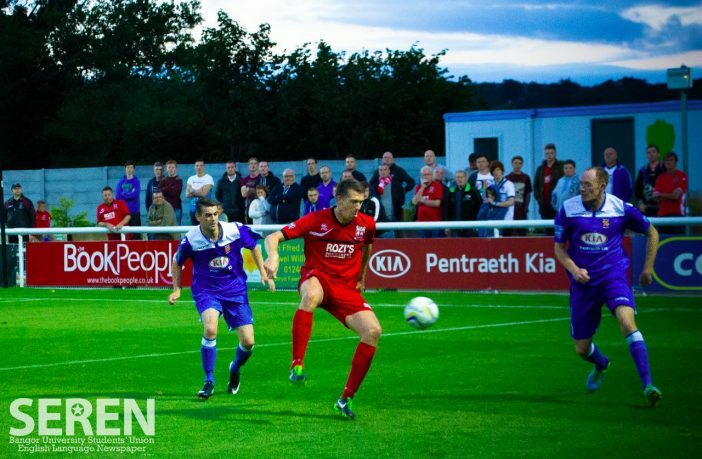 No point saving goal was scored, and at the final whistle, Prestatyn moved to the top of the Welsh Premier League, winning 1 – 0.